Looking for best programming books for beginners? We have a list of best beginner programming books for you to learn coding. Being newcomers, web developers must be uncertain on how to begin learning programming, which one will be right to begin with “C, C++, or Java”, which books to refer? Well their doubts will be cleared over here before they enter into the world of programming. Actually C, C++, or Java is reflected as the best to begin with. Once they’ve selected one and begin learning, they can easily grab its concept and can execute few standard programs. Automatically they can expand their expertise and familiarity towards other languages too. If you are interested to build programs for Windows/Mac/Linux platform, C/C++ should be your initial point; however Mac programming needs knowhow of C - Objective, but learning it can be created simply along with gaining few standard information in C/C+. 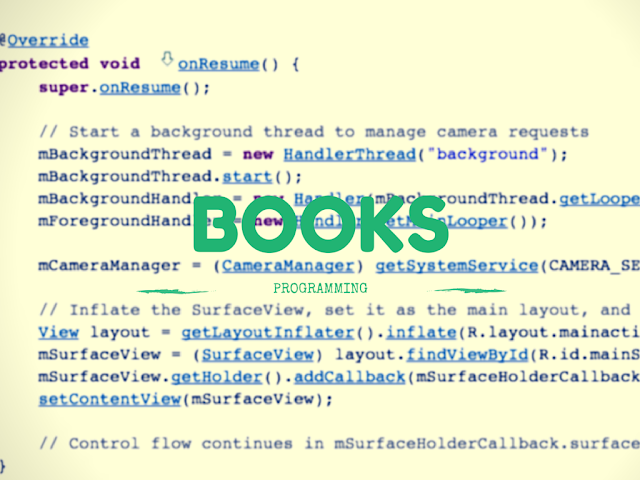 We’ve guided you to check out best books to learn programming from the very scratch. Learning Python is one of the best coding books for beginners learning Python programming. This book contains in depth coverage of core python programming. This book also have short quiz and exercises for getting comfortable on the language quickly. This book is highly recommended by experienced Python programmers and trainers. This is one of the best programming books for beginners in Java. Head First Java offers a great interactive learning experience which allows the new programmers to know about the fundamentals of Java language swiftly. The book covers the distributed programming along with network sockets and RMI, object methods and properties, object oriented design, Java archives, graphical user interfaces, Java 5.0 and network connectivity, towards the advanced levels. This book also mixes strong visuals, puzzles, and interview sessions along with popular Java objects to engage the programmers in distinct ways that are very much effective. The perfect approach of Head First Java not only exhibits the programmers what they require to know regarding Java syntax, it even instructs them to assume like Java programmer. Its a handy book for Ruby beginners. This book can get to started on Ruby really quick. As a beginner you will learn all aspects of Ruby programming using this book. The language is simplified and made easy for beginners to grasp complex concepts. C programming is not easy to learn. Specially when it comes to pointers. This book has simplified the difficult to learn concepts and made is easy for beginners. Even experienced programmers make mistakes in understanding concepts of pointers in C programming. However have a good foundation will help you grow faster in programming. Let US C written by Yashavant Kanetkar envelops huge numbers of topics based on C, beginning with C, the loop control structure, the decision control structure, the case control structure, data types, functions and pointers, C preprocessor, assortments, frameworks, puppeting on strings, consoling input/output, and also filing input/output. Topics regarding operations and varied features of C language are also mentioned in this book. Along with this, the writer has also discussed on programming in C under the Windows, interaction along with hardware, graphics under the Windows, and C under the Linux and Linux programming. The learners wanting to polish their programming skills in C can either buy this book online, or download the PDF version of Let Us C. His other books in programming languages including C, C++, C#, VC++, DirectX, .NET, and COM also adds all the topics in the relevant languages that are written in detail. This is one of the best best coding book available for free download. This book enlightens the Object Oriented approach towards programming, and endeavors to grow few practical skills too. The beginners will get to read and have a clear perspective of essential programming concepts and their execution in the Java includes selection statements, use of loops, collections, achieving calculations, data types, as well as a fundamental insight of file handling. Other topics included in this book are- Inheritance, Abstraction, Object Oriented Software Analysis and Design, Agile Programming as well as Test Driven Development, and The Unified Modeling Language. The case study will conclude in the expansion of an entire Java program which can be downloaded along with this book. By now, the beginners must have known about the above books on programming. It will be best for them to read them online, or download it, and understand deeper about the programming process. Do you think we have missed some book in this list? Please suggest in comments. Alexandro is a writer with programming skills and love to share tips for beginners who want to become a good programmer. He works with Essay-On-Time.com as a tech writer and helps them in technical content structure.